One thing you’ll quickly learn is that private music lessons aren’t cheap. However bear in mind that music teachers have to eat, too, and to make it a viable career they can’t undercut each other too much. With music lessons you get what you pay for – a bargain is going to be no real bargain at all in the long run if you or your child want to learn and advance properly – you need a good teacher for that, and a good teacher will cost you money. It’s quite typical to pay £12-15 pounds per half hour for music lessons. At a lesson a week (and a half hour is the minimum you can reasonably get away with each week), that’s £60 a month, no small amount on the family budget for most people, especially in these days of rising energy costs and interest rates. That means you don’t undertake it lightly. It’s impossible to do music lessons on the cheap – going to a competent teacher means you have to plan ahead to be able to afford things. After all, lessons are ongoing, and will probably last for years. The more advanced you become, the better a teacher you’ll need – and that costs even more. All too often, voice coaching is even more expensive, especially advanced coaching, which can cost up to £50 an hour. In other words, taking music lessons can be a serious financial commitment. Over the course of a year you’ll be spending at least £720 on lessons, and quite possibly more than that. 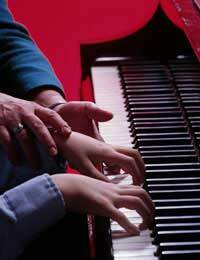 Think of it as a test of how serious you are about music lessons (be they for you or your child). It could well mean doing without other things. Consider further – over the course of a decade, that’s more than seven thousand pounds, which is the equivalent of a cheap new car. However, this is an investment in your life. Even if you don’t become a professional musician, knowing how to play an instrument and taking it as far as you can makes you more rounded as a person and that can’t be measured in financial terms. The same is true with your child. What he gets from music lessons is much more than music, but a discipline for working and an ethic that will stand him in good stead for the rest of his life. Many argue that music lessons are for the middle classes, and their cost does mean it’s difficult for those on limited incomes to afford them. However, many councils offer subsidised after-school music lessons that are available to all pupils. Depending on where you are, the lessons can be around £35 per term, with another £15 for instrument rental, which is a lot cheaper than private lessons. You might also find that some teachers will be willing to take on exceptionally talented pupils at a lower than normal rate if the parents can’t afford to pay. Be aware, though, that these teachers are rare. Ultimately, though, in almost every case, individual tuition means spending money, and whether it’s for yourself or your child you’ll need to be willing to make some sacrifices to afford it. But your dedication will reap great rewards. While many schools used to offer music lessons, budget pressures these days mean that most can’t afford it any more. As in the article, it’s worth checking with your local council to see if they do have subsidies. Most probably won’t, which leaves the possibility of hiring music students. It’s very difficult these days, as all arts cutbacks affect the upcoming generation more than many realise. Don't forget hiring a music student as a teacher on an instrument. If they've made it to music college or uni then they obviously have real ability, and the rates will be much lower than a professional teacher. If there's a downside it's that they'll probably come to your house for the lessons, as most students won't have suitable places. But that's a minor thing for what can prove to be top-notch tuition at bargain rates.